Ms. Hoekstra grew up in rural Iowa and lived in upstate New York and Minnesota before coming to Colorado in 1994. After a fifteen year career in business, she decided to pursue her dream of working in medicine. She received her undergraduate degree in biology and chemistry from Metropolitan State College of Denver in 2003. 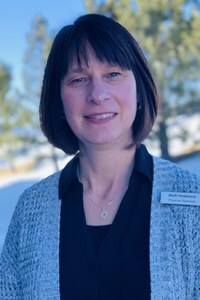 Her certificate in Physician Assistant studies was awarded in 2007 from the University of Colorado Health Science Center which included a Child Health Associate certification recognized by the state of Colorado. In 2009, she was awarded a Master of Science from the University of Colorado Health Science Center. She enjoys many areas of medicine, with a particular interest in urgent care, internal medicine and geriatrics.